SureBroom is a concrete broom overlay mix that comes in a gray or white mix. 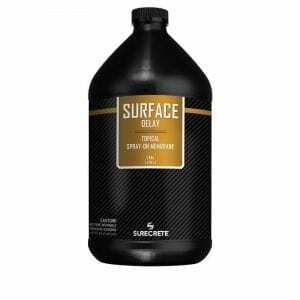 Patio or driveway concrete overlay is for old or damaged concrete with SureCrete’s just add water mix and when applied properly, our broom overlay product test well over 6000 PSI when cured. SureBroom™ is the premier high-strength thin broom concrete overlay for extremely used trafficked areas. Its formulation is designed to transform old, spalling, broken concrete to a freshly broom surface as well as cracked resurfacing concrete. Typical areas requiring SureBroom concrete broom overlay include high rise parking decks, driveways, sidewalks, parking lots, and retail storefronts. Although designed to be broomed, it may also emulate the many designer looks of other thin overlays. SureBroom™ may be applied with a concrete broom or by a combination of compressed air spray equipment and trowel and or squeegeed. Restoration, repair, resurfacing, architectural accenting, surface protection, and creating slip resistance of existing concrete are all realized through SureBroom™. It is prepared with gray cement or white cement to accept Color Packs. SureBroom™ decorative overlay is the perfect product for restoring a “fresh” broomed concrete look to cracked or otherwise old slabs and substrates. Being able to simply resurface an old and worn concrete slab can make for a huge cost saving in lieu of completely removing the old concrete surface and pouring a completely new slab. This broom concrete overlay can be applied over very large surface areas including driveway concrete and concrete sidewalks resurfacing with ease utilizing a relatively small crew. It is also simple enough that a homeowner can apply it on his own concrete home driveway or sidewalk to give a view of a brand new surface and easier than our competitors quikrete concrete resurface and concrete stamped process. 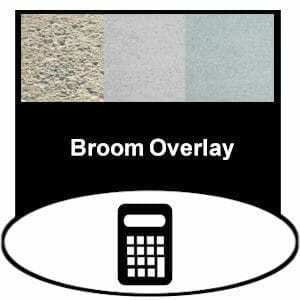 Try our new concrete broom overlay calculator with report options above. View our repair concrete resurface broom overlay gallery for pictures and ideas. 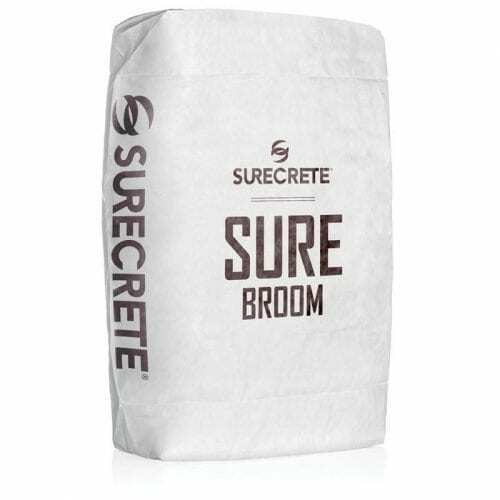 How Do You Apply SureBroom Concrete Broom Resurface Concrete Overlay Mix? Make sure that temperatures will remain between 50 and 90 degrees Fahrenheit and there will be no precipitation in the applied areas for a 48 hour period following application. Add 4 – 6-1/2 quarts water per 50 lb bag to 5 gal bucket and mix in any color desired for the integral coloring of SureBroom concrete broom overlay. Slowly introduce SureBroom while continuously mixing and mix for a minimum of 1 minute once all product has been emptied into the container. Scrape the sides of the bucket to make sure there are no “dry pockets” that didn’t get mixed properly. Mist the surface of the concrete with water ahead of any areas about to receive SureBroom. SureBroom concrete broom overlay can be applied by trowel, squeegee or boom depending upon desired texture. 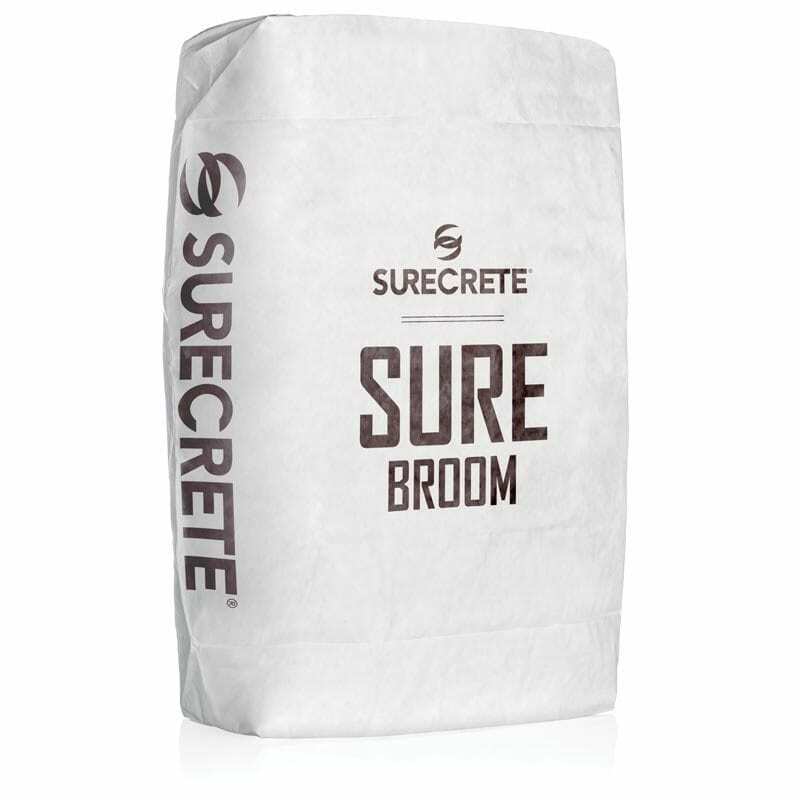 If you need a second coat of SureBroom concrete broom overlay, simply wait until the surface is properly cured – approx 2-6 hours. A second coat can be applied same as the first coat. Make sure to scrape away excess material from first coat before applying the finish. Once the concrete broom overlay surface has dried and cured sufficiently (approx 2-6 hours), it can accept stains and secondary colorants, and is also ready to receive a sealer. Typical outdoor applications would utilize a acrylic sealer from our SureSeal line of products. Do I have to use two coats of SureBroom concrete broom cracks overlay mix? Not necessarily. It depends on completely on the views concrete design your looking for and the substrate you’re working with. SureBroom is applied at such a thin rate that imperfections will likely show through” in the first coat of the product, this would be a case where a second the coat would likely be desired even with resurfacing driveway surfaces. Concrete cleaning and moisture protection. Section 03 35 19 – Colored Concrete Finishing. Section 03 05 10 – Concrete Color Additive*. Section 03 30 00 – Cast-in-Place Concrete. Section 12 36 13 – Concrete Countertops. Section 03 35 33 – Stamped Concrete Finishing. Section 03 45 13 – Faced Architectural Precast Concrete. Section 03 49 00 – Glass-Fiber-Reinforced Concrete. Section 03 53 00 – Concrete Topping. Section 03 01 40.51 – Cleaning of Precast Concrete. Section 03 01 40.61 – Resurfacing of Precast Concrete. Section 09 27 00 – Plaster Fabrications. Section 09 67 23 – Resinous Flooring. Section 09 97 23 – Concrete and Masonry Coatings. AASHTO T260 – Standard Method of Test for Sampling and Testing for Chloride Ion In Concrete and Concrete Raw Materials. AASHTO T259 – Standard Method of Test for Resistance of Concrete to Chloride Ion Penetration. ANSI A118.4 – Specifications for Latex Portland Cement Mortar. ASTM C23 – Determination of Particle Size Distribution of Soils in Forensic Science Using Classical and Modern Instrumental Methods. ASTM C67 – Standard Test Methods for Sampling and Testing Brick and Structural Clay Tile. ASTM C78 – Standard Test Method for Flexural Strength of Concrete (Using Simple Beam with Third-Point Loading). ASTM C97 – Standard Test Methods for Absorption and Bulk Specific Gravity of Dimension Stone. ASTM C109 – Standard Test Method for Compressive Strength of Hydraulic Cement Mortars (Using 2-in. or 50-mm Cube Specimens). ASTM C170 – Standard Test Method for Compressive Strength of Dimension Stone. ASTM C190 – Method of Test for Tensile Strength of Hydraulic Cement Mortars. ASTM C309 – Standard Specification for Liquid Membrane-Forming Compounds for Curing Concrete. ASTM C348 – Standard Test Method for Flexural Strength of Hydraulic-Cement Mortars. ASTM C482 – Standard Test Method for Bond Strength of Ceramic Tile to Portland Cement. ASTM C 518 – Standard Test Method for Steady-State Thermal Transmission Properties by Means of the Heat Flow Meter Apparatus. ASTM C666 – Standard Test Method for Resistance of Concrete to Rapid Freezing and Thawing. ASTM C880 – Standard Test Method for Flexural Strength of Dimension Stone. ASTM C882 Modified – Standard Test Method for Bond Strength of Epoxy-Resin Systems Used with Concrete by Slant Shear. ASTM C944 – Standard Test Method for Abrasion Resistance of Concrete or Mortar Surfaces by the Rotating-Cutter Method. ASTM C979 – Standard Specification for Pigments for Integrally Colored Concrete. ASTM C1185 – Standard Test Methods for Sampling and Testing Non-Asbestos Fiber-Cement Flat Sheet, Roofing and Siding Shingles, and Clapboards. ASTM C1186 – Standard Specification for Flat Non-Asbestos Fiber-Cement Sheets. ASTM D1849 – Standard Test Method for Package Stability of Paint. ASTM D3359 – Standard Test Methods for Measuring Adhesion by Tape Test. ASTM D3363 – Standard Test Method for Film Hardness by Pencil Test. ASTM D4946 – Standard Test Method for Blocking Resistance of Architectural Paints. ASTM E84 – Standard Test Method for Surface Burning Characteristics of Building Materials. ASTM G53 – Practice for Operating Light- and Water-Exposure Apparatus (Fluorescent UV-Condensation Type) for Exposure of Nonmetallic Materials. Submit under provisions of Section 01 30 00 – Administrative Requirements. Selection Samples: For each finished product specified, two complete sets of color chips representing manufacturer’s full range of available colors and patterns. Verification Samples: For each finish product specified, two samples, minimum size 6 inches (150 mm) square representing actual product, color, and patterns. Manufacturer Qualifications: Minimum 10 year experience manufacturing all products specified in this section with the capacity to produce and deliver required materials without causing a delay in work, and capable of providing field service representation during construction. Installer Qualifications: Minimum 2 year experience installing similar products and certified in writing by the manufacturer. Source Limitations: Obtain primary materials including primers, patching agents, resins, hardening agents, colorants, and top coats from a single source from a single manufacturer. ** NOTE TO SPECIFIER ** Includes a mock-up if the project size and/or quality warrant taking such a precaution. The following is one example of how a mock-up on a large project might be specified. When deciding on the extent of the mock-up, consider all the major different types of work on the project. Delete if not required. Mock-Up: Provide a mock-up for evaluation of surface preparation techniques, aesthetic effects and application workmanship. Construct at least one month before the start of work. Mock-Up shall be on site in areas designated by the architect. Retain samples of all materials used in each mock-up for comparison purposes. Do not proceed with work prior to receipt of written acceptance of mock-up. Approved mock-up may remain part of finished work. Approved mock-up may not remain part of finished work. Remove and dispose of material when no longer required. Convene minimum two weeks prior to starting work of this section. Deliver and store products in manufacturer’s unopened packaging bearing the brand name and manufacturer’s identification until ready for installation. Handling: Handle materials to avoid damage. Maintain environmental conditions (temperature, humidity, and ventilation) within limits recommended by the manufacturer for optimum results. Do not install products under environmental conditions outside manufacturer’s recommended limits. Ensure that product of this section is supplied to affected trades in time to prevent interruption of construction progress. Requests for substitutions will be considered in accordance with provisions of Section 01 60 00 – Product Requirements. 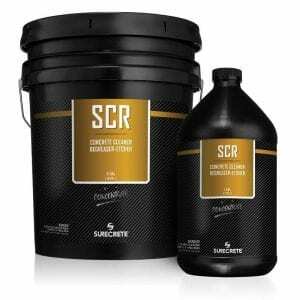 ** NOTE TO SPECIFIER ** SCR – Professional Grade Concrete Cleaner De-Greaser and Etcher by SureCrete. Created for surface preparation for overlays, concrete stains, sealers, and coatings. SCR is environmentally friendly, requires no neutralization and reduces waste water. SCR is the safe alternative to muriatic acid, contains no toxic heavy metals, or ozone-depleting solvents. Delete if not required. 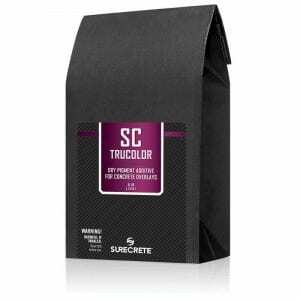 Product: SCR (Super Concrete Renovator) as manufactured by SureCrete Design Products. ** NOTE TO SPECIFIER ** SureCrete’s SCT-22 concrete crack repair is a rapid set, technologically advanced, high strength, ultra-low viscosity urethane treatment material. This 2-part, 1:1 system is 100% solids, no VOC’s and designed for rebuilding spalls and treating static cracks in concrete very quickly. SCT-22 may be used prior to the application of an overlay for concrete that has random cracking or as a stand-alone treatment for spalled and damaged concrete. Its rapid setting times makes SCT-22 the premier restoration product for industrial warehouse floors that have traffic area spalls and construction joint damage. A ten to fifteen minute period is all that is required for “drive-over” time. SCT-22 cures from – 20 degrees F (-29 degrees C) to 130 degrees F (54 degrees C). It is self-leveling, self-priming, and meets USDA and FDA requirements. Delete if not required. 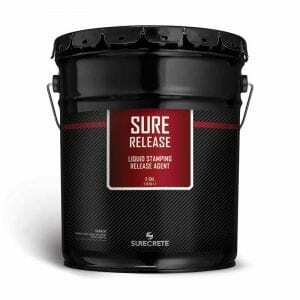 Product: SCT-22 – Professional Concrete Crack Repair Fast Cure Urethane as manufactured by SureCrete Design Products. Type: Rapid set, technologically advanced, high strength, ultra-low viscosity urethane treatment material. Tensile Strength (ASTM D412): 4600 psi. Compressive Strength (ASTM C10): 4800 psi (with sand), 3900 psi (neat). Bond Strength (ASTM 882): 3450 psi. Pot Life: Approximately. 3 minutes. ** NOTE TO SPECIFIER ** SureCrete’s SCT-EP is a two-part Epoxy Crack Treatment – a traditional epoxy system to effectively treat static cracks in concrete or minimize their return in active, structural cracks. The system is economical not only in product costs but also in tools required for its implementation. SCT-EP may be used prior to the application of an overlay for concrete or as a stand-alone treatment for cracking. Delete if not required. Product: SCT-EP Heavy Duty Epoxy Concrete Crack Repair as manufactured by SureCrete Design Products. 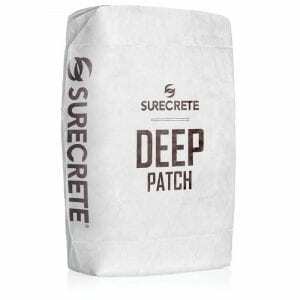 ** NOTE TO SPECIFIER ** SureCrete’s Deep Level is a single component cement based chemical patching compound system providing a patch that goes from 1/8 inch (3 mm) and up. Just add water. It offers superior bonding power to patch larger spalls in concrete floors, build ramps, repair loading docks, and parking lot pavement. Deep Level also performs well in filling low spots on horizontal surfaces and filling open areas (e.g. planters). The silicate aggregate size will eliminate the usual shrink cracks associated with topping mixes used for repairs in curbs, sidewalks, and driveways when removing an entire slab is not possible or cost effective. Delete if not required. Product: Deep Level as manufactured by SureCrete Design Products. Compressive Strength (ASTM C 109): 24 hour – 3130 psi (21,566 Kpa), 28 Days – 5000 psi (34450 kPa). Tensile Strength (ASTM C 190): 1 day – 280 psi (1929 kPa), 28 day – 890 psi (6132 kPa). Flexural Strength (ASTM C 348): 1 day – 210 psi (1447 kPa), 28 day – 550 psi (3790 kPa). Abrasion Resistance (gms. lost 1/4 inch (6 mm) thick patch): 24 hours – 1 gm, 7 days – 1 gm. ** NOTE TO SPECIFIER ** Flash Patch is a single component cement based chemical patching compound system providing a workable, no-slump patch that sets quickly for a quicker return to service. Just add water. Quick-setting, just-add-water patch mix produced for quick turn around on job sites; up to 3/4 inch (19 mm) depth. Delete if not required. Product: Flash Patch as manufactured by SureCrete Design Products. Type: Single component, self-bonding cement-based patching compound. 3 hour – 3090 PSI (21340 kPa). 24 hour – 4850 PSI (33440 kPa). 28 Days – 6042 PSI (41660 kPa). 6 hour – 300 PSI (2068 kPa). 7 day – 685 PSI (4723 kPa). 6 hour – 275 PSI (1896 kPa). 7 day – 495 PSI (3413 kPa). 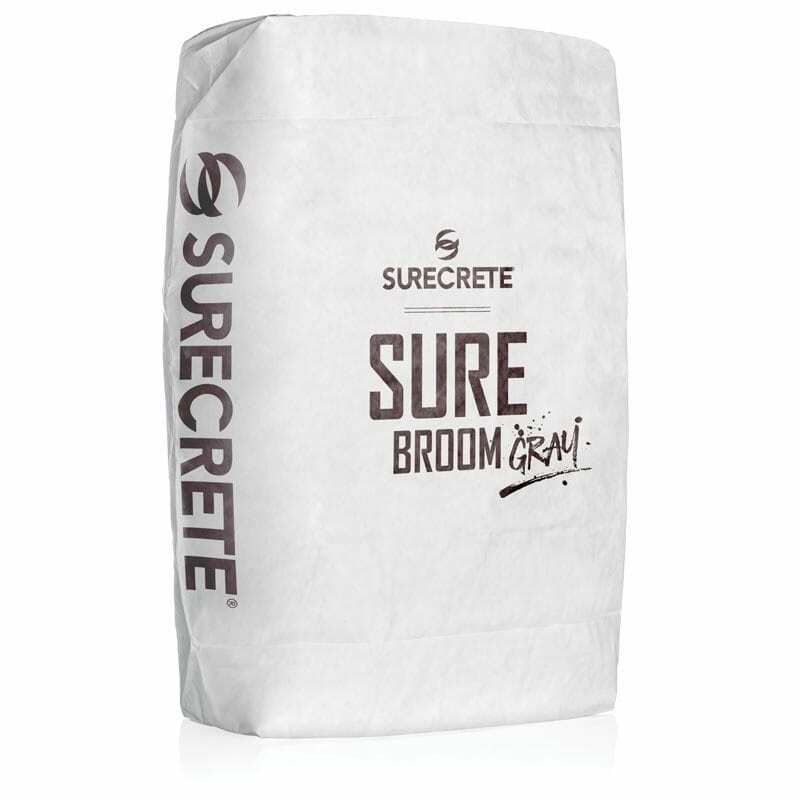 ** NOTE TO SPECIFIER ** SureBroom is the premier high-strength thin broom concrete overlay for extreme trafficked areas. Its formulation is designed to transform old, spalled, dull concrete to a freshly broomed surface. Typical areas requiring SureBroom include high rise parking decks, driveways, sidewalks, parking lots, and retail store fronts. Although designed to be broomed, it may also emulate the many designer looks of other thin overlays. SureBroom may be applied with a concrete broom or by a combination of compressed air spray equipment and/or trowel / squeegee. Restoration, repair, resurfacing, architectural accenting, surface protection, and creating slip resistance of existing concrete are all realized through SureBroom. Typical areas include parking decks, driveways, sidewalks, parking lots or any horizontal concrete surface requiring repair of spalled areas, low spots, etc. SureBroom is applied with a base coat using squeegees and then broomed. A finish coat is applied and broomed creating a slip resistant finish that is ready to be sealed to protect against staining. On irregular slabs requiring extensive patching, it is recommended to use Flash Patch and/or Deep Level. 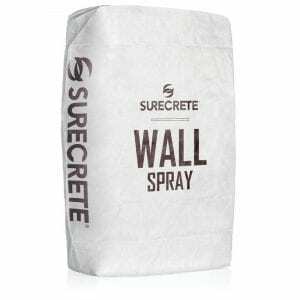 Used with SureCrete’s acrylic sealers imparts greater resistance to salts and attack from acids and alkali. Delete if not required. Product: SureBroom as manufactured by SureCrete Design Products. Type: Trowelable or squeegee applied Copolymer Modified Cementitious Topping for leveling and retexturing interior and exterior concrete surfaces. Compressive Strength (ASTM C-109): 28 day 6128 psi (42,251 kPa). Abrasion Resistance (ASTM C-944): 1 day 1 grams lost, 7 days 1 grams lost. Tensile Strength (ASTM C-190): 28 day 910 psi (6274 kPa). Flexural Strength (ASTM C-78): 28 day 1575 psi (10859 kPa). Shear Bond (ASTM C-882 Modified – Mortar scrubbed into substrate): 7 day 1232 psi (8494 kPa), 28 day 1695 psi (11,686 kPa). Finish: Texture that resembles freshly poured and broomed concrete. Base Coat Tint: As selected from manufacturer’s standard tints. Finish Coat Texture: Broom finish. ** NOTE TO SPECIFIER ** Pigmented WB is a 30% solids, water based, low VOC (less than 100 grams per Liter), strong binding, color, satin acrylic sealer for SureCrete overlays or any cement based product. This product contains a hybrid, self-cross-linking, acrylic resin with built-in water repellents and tenacious penetration and adhesion. It contains no wax or silicone additives. Pigments are specifically formulated for UV stability, will not blush, and retain long gloss retention. Pigmented WB is non-flammable and environmentally safe. With all of the issues plaguing colored acrylic water-based concrete sealer applicators and contractors, we decided to make a sealer that was specifically formulated to deal with these issues effectively. SureSeal Pigmented WB was designed to help eliminate two of the biggest issues pertaining to acrylic concrete sealers: delamination due to constant exposure to freezing and thaw cycles during the spring and fall seasons of certain environments and color instability due to Ultra Violet light exposure. Delete if not required. Product: SureSeal Pigmented WB – Colored Water Based Concrete Sealer as manufactured by SureCrete Design Products. Type: 30% solids, water based, low VOC (< 100 g/L), strong binding, color, satin acrylic sealer. Formulation: Contains a hybrid, self-cross-linking, acrylic resin with built-in water repellence and tenacious penetration and adhesion. Contains no wax or silicone additives. Pigments are specifically formulated for UV stability, will not blush, and retain long gloss retention. Non-flammable and environmentally safe. Blush (4 hours. dry /18-hour immersion): No blush. Adhesion (ASTM D-3359): Dry Concrete – Excellent, Wet Concrete – Excellent. QUV Accelerated Weather Testing (ASTM G-53): 250 hr. – no blistering, no yellowing. Abrasion Resistance: 12.5 grams loss. Block Resistance (ASTM D-4946): Excellent. Heat Stability @ 120 degrees F (49 degrees C) (ASTM D-1849): Excellent. Film formation @ 40 degrees F (4 degrees C): Passed. Water Absorption: 2.4 g /m^3. Pencil Hardness (ASTM D-3363): HB-H. Hot Tire Pick-Up: Passed. (Under extreme circumstances delaminating could occur. All tire manufacturers were not tested. Chemicals used in tire manufacturing may be detrimental to all sealers from vehicular parking). Do not begin installation until substrates have been properly prepared. If substrate preparation is the responsibility of another installer, notify Architect of unsatisfactory preparation before proceeding. Clean surfaces thoroughly prior to installation. Prepare surfaces using the methods recommended by the manufacturer for achieving the best result for the substrate under the project conditions. Prepare exterior surfaces with chemical cleaner/profiler followed by rinsing with 3000-psi (20670 kPa) (minimum) pressure washer equipped with a turbo-tip to remove loose surface matrix and loose aggregate. Install in accordance with manufacturer’s instructions. Remove all laitance, efflorescence, chemical contaminants, grease, oil, old paint, and other foreign matter. The surface shall require profiling. Sand blasting, grinding or abrasive blasting may be necessary achieve bare concrete. The prepared surface shall be clean and structurally sound. The substrate must be 40 degrees F (4 degrees C) and rising before installation. The surface at 90 degrees F (32 degrees C) and above shall be cooled before installation. Dampen area with fog tipped sprayer before using, leaving no puddles. Mix consistency shall be maintained throughout the application process. Do not apply in layers greater than 2 inches (51 mm). No tempering with additional water is allowed. Begin application immediately after mixing with water and work thoroughly into the surface of the area to be filled. Do not overwork. Minimize troweling. Base Coat: Mix product with water per manufacturer’s instructions. Mechanically mix to a lump-free consistency. Begin by saturating area to be covered with water. Before application of base coat, remove any excess water leaving no puddles. The surface shall be saturated, surface dry (SSD). Place the base coat with a brush, broom, or squeegee and force into surface completely covering existing concrete. Lightly broom to obtain the profile. Finish Coat: Mix finishes coat same as the base coat mix ratios. Begin by saturating the base coat with water, leaving no standing puddles, SSD. Place material with steel squeegee and lightly broom. As product dries, scrape and use a leaf blower to remove loose material. Apply two coats of selected sealer. Curing: Allow to air cure after application. Prevent the overlay from drying out too quickly. Provide favorable application conditions by working during cooler hours, keeping all materials shaded prior to mixing and setting up plastic or temporary walls to block the wind. Protect installed products until completion of the project. Touch-up, repair or replace damaged products before Substantial Completion. Do I have to use two coats of SureBroom concrete broom overlay ? Answer: Not necessarily. It depends on completely on the design your looking for and the substrate you’re working with. Answer: SureBroom is applied at such a thin rate that imperfections will likely “show through” in the first coat of the product, this would be a case where a second the coat would likely be desired. SureBroom is a concrete broom overlay mix that comes in a gray or white mix. 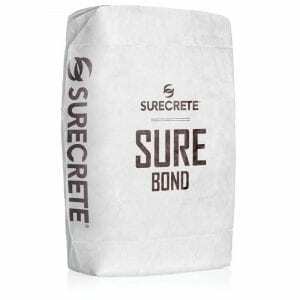 Patio or driveway concrete overlay is for sold or damaged concrete with SureCrete’s just add water mix and when applied properly, our broom overlay product test well over 6000 PSI when cured.